they be dismayed, neither shall any be missing, declares the LORD (Jeremiah 23:4 ESV). 1. Lord, we come to hear Your Word. Shine Your light! Unsheathe Your sword! Send Your Spirit forth in pow'r. Come and bless Your church this hour. Help us worship as we ought. Wake each soul, unstop each ear. Wisdom, too, to hear and heed. Open eyes and give us sight. Bless this feast to feed our souls. Vain our efforts in this place. For true worship to occur. Empty, let it not return. Draw, convict, give life and fill. "Lord We Come to Hear Your Word"
The idea for this hymn came from a Bible Study taught by Pastor Larry Vincent at Heritage Baptist Church in Mansfield, Texas during the spring of 1997. In Jeremiah 23:4 the Lord promises to give His people shepherds to feed them "and they shall fear no more, nor be dismayed, nor shall they be lacking" (NKJV). Larry compared the work of a minister as he studies and proclaims God's Word to the preparation and setting of a rich feast for the souls of God's people. One of God's richest provisions for the church is faithful preaching and exposition of His Word. This hymn is a prayer for those who hunger and thirst to know God in His Word. Every time we come to God's Word—whether in private reading and study, or public preaching and teaching—we should always pray that God would help us to listen and grant a saving and sanctifying understanding of His Word. We need the Spirit of God to illumine the Word if we are to receive, understand and be nourished by its truth. And every time we have opportunity to sit under the preaching and teaching of God's Word, we should pray for the minister. Verse five of the hymn is a prayer asking God's blessing on the pastor as he comes to feed God's people. 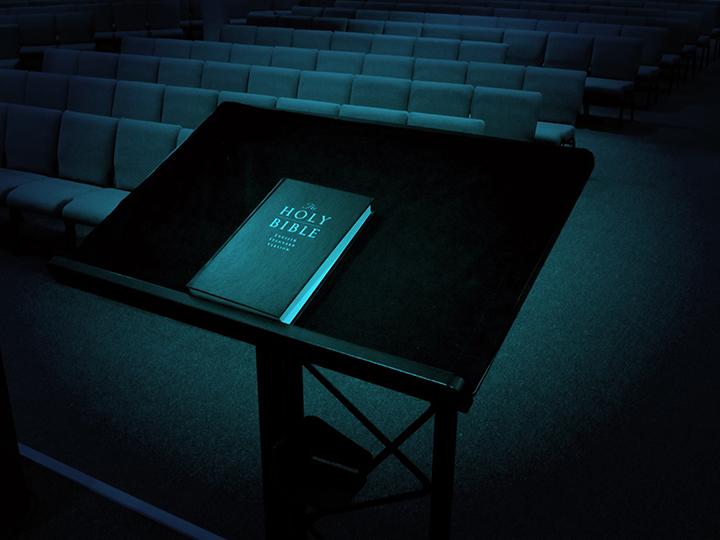 Those who have had opportunity to preach and teach the Bible will testify—there is no greater feeling of helplessness and utter dependency than seeking to lead God's people in worship. All of our preparation, study and planning are for naught, unless God works by His Spirit and blesses our efforts. Listen to a setting of "Lord, We Come to Hear Your Word"